Gov. Rick Scott, center, addresses legislators and others at the end of special session, Friday, June 9, 2017, in Tallahassee, Fla. The first reports of Sen. Jeff Clemens' extramarital affair with a lobbyist came four days before Halloween. 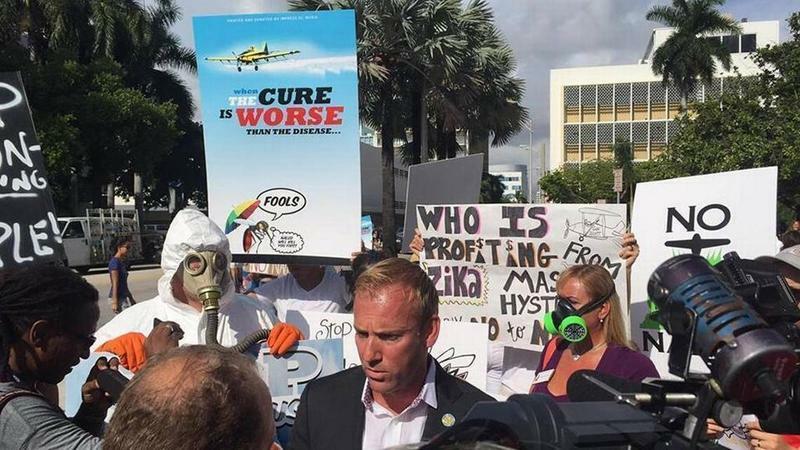 The Lake Worth politician was the top Democrat in the state Senate and set to lead the minority party in 2019. He resigned that same day. Then on Monday November 30, Miami Beach Commissioner Kristen Rosen Gonzalez accused a candidate she had supported for the commission of exposing himself to her. Rafael Velasquez denied the claim. “I was 'Harvey Weinsteined' by Rafael Velasquez, the candidate I have been supporting and raising money for in the Miami Beach commission race." Then Coral Gables Democratic Rep. Daisy Baez admitted to lying about living in the House district she was elected to represent. She quit her office representing District 114 in the Florida House. Listen to the full version of The Florida Roundup here. Reporters Marc Caputo & Dan Sweeney are featured in the first segment, 0:00-19:20. The current city commissioner and U.S. Congressional candidate Kristen Rosen Gonzalez sent you a text, what was in that text? Caputo: She said that the candidate she backed Rafael Velasquez had exposed himself to her, specifically when she was in a car with him. He opened his pants and showed his goods. And she didn’t want to see it. On Sunday, I called Rafael Velasquez and I said, 'Kristen Rosen Gonzalez told me that you exposed yourself to her in an unwanted way.' He said, ‘no that didn’t happen,’ just in a very cool way. It was an odd response. And since then, other stories have surfaced. Caputo: Right, well there was another woman who is a PR professional in town, who said that she was taking a picture with him and he grabbed her behind. The chair of the Democratic party has told him to drop out of the race. And he has not. Caputo: He has decided to stay with this. There are some candidates who just decide to stay and get beaten up. They want to hang themselves like a piñata for the press to go at them. Sen. Clemens first admitted to this extramarital affair with a female lobbyist a week ago. It was only a few hours until he resigned. Give us a sense of that timeline and what’s happened since. Sweeney: POLITICO came out with the story that he had had an affair with a lobbyist, then employed by Martin County, now employed by Broward County. That story came out Friday morning and by Friday evening Sen. Clemens had resigned. He didn’t even take the weekend to think it over really, he was gone. And they’re already moving ahead to find somebody to replace him. What's the fallout from this? There’s fallout for Sen. Clemens personally. But also for the Democrats in Tallahassee. Sweeney: And for his constituents. Right now, they’re talking about a primary special election in late January and a general election in April. That means all these people that are in the central eastern Palm Beach County district will have no representation during the next legislative session. And they’re moving a lot quicker to fill [the role of top Democratic senator] as well. The Democrats in the Senate will be taking a vote on a new incoming Senate minority leader next week. Right now it looks as though that’ll be Sen. Audrey Gibson of Jacksonville. Since the news was broke about Sen. Clemens, two female senators - one Democrat, one Republican, one in South Florida and one from Southwest Florida- have come together to release a combined statement asking other sexual harassment victims working in the legislature to tell their stories. Why do you think they took that step? Caputo: Both of them had been survivors of sexual abuse or sexual assault and the reality is, in Tallahassee, it is very difficult for a woman to complain that she has been harassed. It is an old boy network. It is controlled by white males. I’m not saying race by way of impugning any motives there. The reality is, men are in charge in Tallahassee. They’re in charge in the legislature. And it’s very difficult for women in that environment to come forward. It’s a small town and the Capitol is an even smaller town, to speak, within that town. You don’t want to risk losing your entire livelihood over something where you’re probably not going to get a conviction. There’s a slim chance that the lawmaker will even get drummed out of office. So, there are very few incentives for a woman to come forward. Does the Sen. Clemens’ story and the action that he took, and what we’ve seen subsequent begin to change that gender balance at all? Sweeney: Immediately it does. But I don’t think it’s any coincidence that Audrey Gibson is likely the next Senate minority leader. As far as long-term, it’s a systemic issue. I don’t know that necessarily changes because of one scandal or even two or three. It’s going to take a lot more women being elected and serving in the body before anything changes. Daisy quit her elected position this week. She admitted she did not live in the district from which she was elected to represent. Caputo: Daisy ‘Lie-ez.’ On Oct. 13, when a Florida House committee had moved forward with a rules complaint to examine her not living in her district, I remember talking to her and saying ‘if you did not live in your district, they’re going to find out. And you’ve spoken to prosecutors about this as well, you probably should consider resigning.’ ’Oh no, no, no. It’s all a misunderstanding. These are lies about me’ Well, we know who the real liar is: Daisy Baez. She’s not fit for office. That’s a fact. Baez has been ordered to take an ethics class. Then there’s a $1,000 fine and she's banned from public office for one year. Is that a sentence that is justified by the crime of a politician lying under oath? Sweeney: This rule that legislators have to live in their district is one that is kind of regularly flouted. Legislators will have a house outside the district, then they’ll get an apartment in the district and get their mail sent there and register to vote there. And they’ll say, well now I live in the district, even though I have this house outside the district. That happens fairly regularly. This was such a flagrant abuse of that rule. She barely even made the attempt to get an apartment in the district. Caputo: To Dan’s point, it is legal for a legislator to go through those workarounds. You just need to be a legal elector of the district to which you’ve been elected. What she did is she just lied. She said, I’m renting a room from these people and she wasn’t. Greico, a first-time commissioner elected in 2013, handed in his resignation at City Hall on Oct. 24. He faced a charge of accepting an illegal campaign contribution, but he avoided admitting guilt and said he didn’t do it. This week on The Florida Roundup we're looking at tax dollars going to private schools along with Gov. Rick Scott's desire to spend more on the environment. 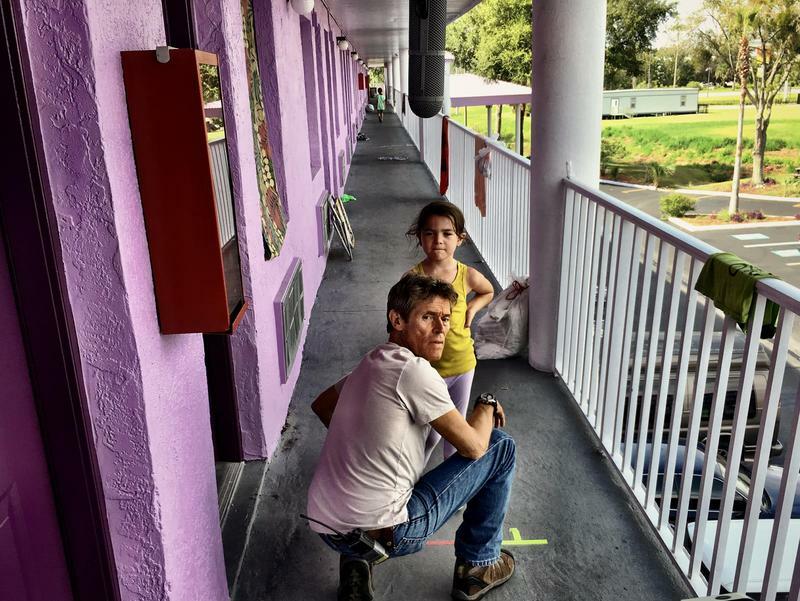 We also have a look at the new film, "The Florida Project," that shines a light on life along the state's economic fringe. 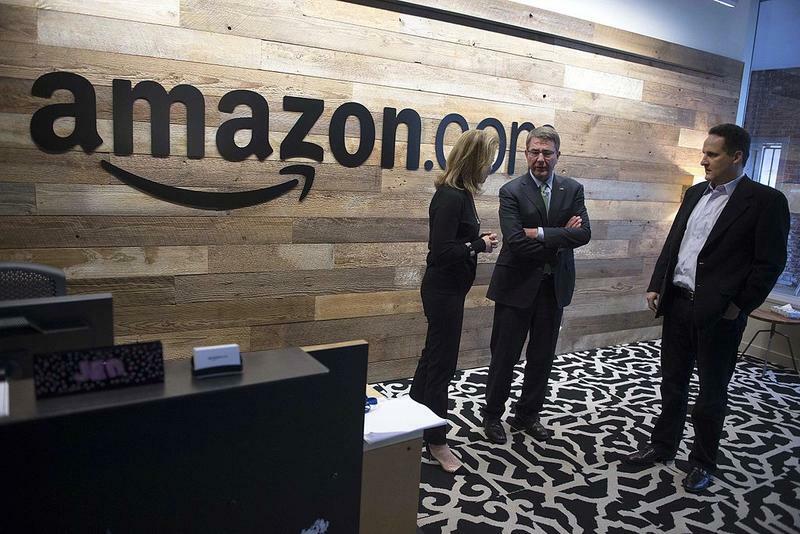 Will Jacksonville, Miami or any Florida city win the battle for Amazon.com's second headquarters? 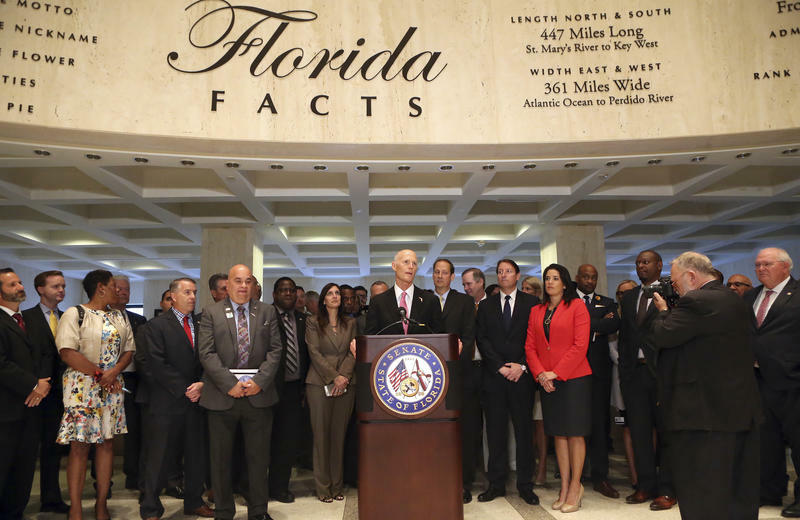 We discuss the possibility in this week's The Florida Roundup Statewide Edition.